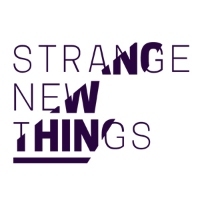 Strange New Things is a new game development studio made-up of experienced industry veterans. The team consists of people that co-created Dead Island, the Call of Juarez series, The Witcher series, Hitman, and Dying Light. We created the stories, designed and implemented the gameplay, created the visual direction, worked on the technology, and managed the projects. We are known for creating unusual experiences in our previous titles, and we want to take that fresh, innovative approach to our new game. We want to bring our gaming experience to a global audience, creating ambitious titles for both consoles and PC players alike.